this is another instalment of our “What to Pack” series, (even though this is more about “what to do,” but i think its an import list of things to read). In this series, i share some of our packing essentials, as well as a few not-so-common items. Hope you find it useful as you plan your travels! As we move closer to departure time there are so many lists, things to get rid of, things to sell, clothes we “think” we want to bring, backpack or suitcase Pros/Cons list the “lists” go on. 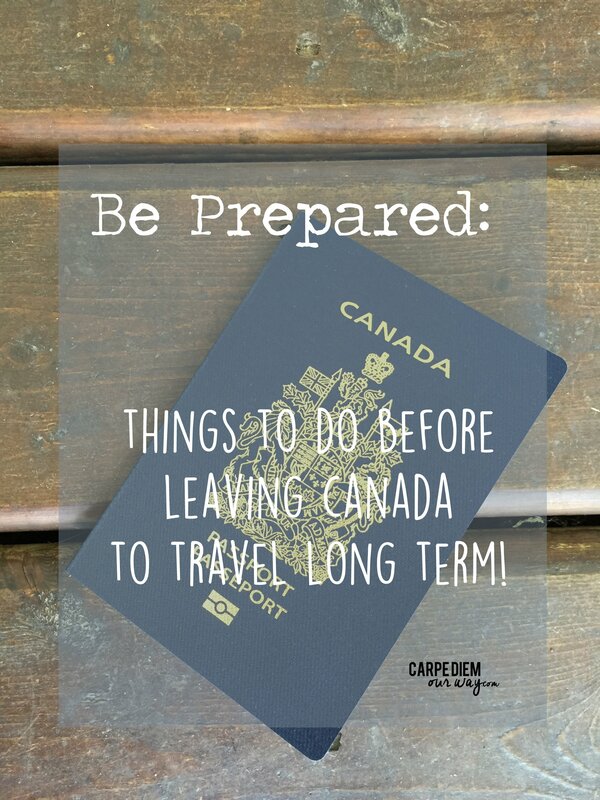 But this is an important list, and as I learn more, I will add to this page everything that we had to arrange before leaving Canada to travel! 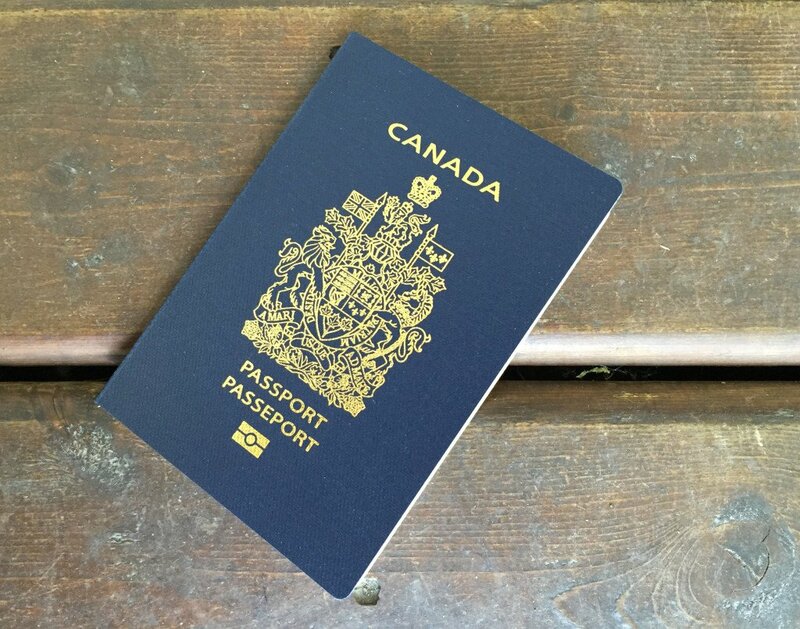 Apply for passport and if you already have one, check the expiry date and how to renew it from out of the country! Research the country you will be visiting to ensure it is suitable destination for you or your family. Get a A VPN. Depending on where you’re coming from a VPN can either help keep you stay safe on your new country’s wifi or help you keep up with tv and movies from Canada. You can stream some Canadian content while abroad and keep up with Hockey Night in Canada on CBC. Check with the CRA for any tax issues and make sure you have everything in order to file your taxes while you are away. 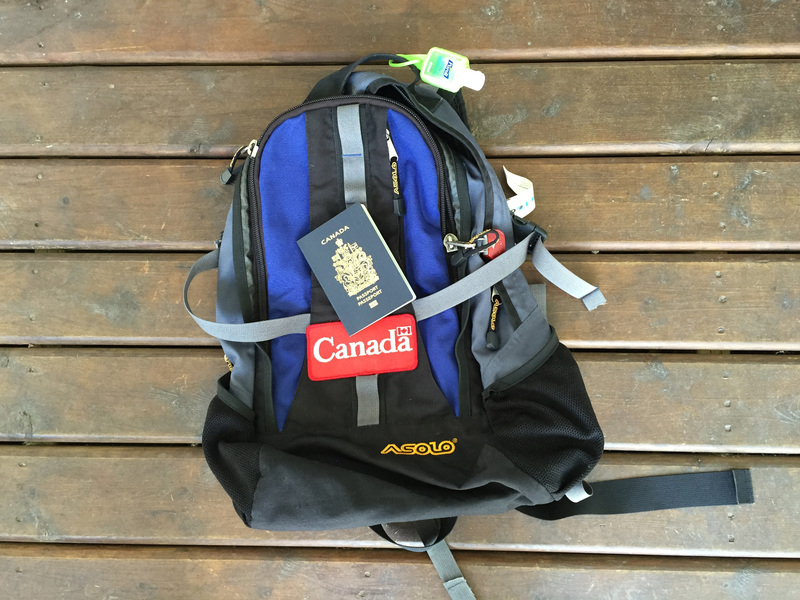 Check out Exploramum’s Checklist for International Travel for some more tips before your next trip! if you are looking for more travel tips, click here. If you found this page helpful, please share it on what ever platforms you use! this will help us fund our travels and continue to bring great content to our site! So glad that you included registering your travel plans with a government agency. I think it is one of the most important things you can do before taking off because really you never know what can happen, especially in this day and age when there are just so many tragic natural (and un-natural) disasters happening around the world. This is a really great post with lots of solid info. Thanks for sharing your tips! Nice tips. I also normally register on the website of the Italian government before leaving, but it is a bit hard to do it when I travel long term… as it pretty much requests an itinerary and I can’t provide a 6 months one!! Great info for Canuks as well as some good points for any traveller…organsation and prep is key! Great post. even travelling short term, things like credit card bars and driving licence issues can be a real pain. Those are great information not only for people who are leaving Canada, but for everyone that is venturing in a long term travel. And I would say that selling your stuff is one of the best way to make money, and grow your saving account before travelling. I imagine in time this page will be a great detailed resource for future travelers looking for an organized checklist of things to do before leaving Canada for a long-term or RTW trip. It’s never easy to put together an exhaustive resource like this, so great effort! Great tips! We checked these off our list when we left in September. It seemed like the list just kept getting bigger and bigger. And we had so much on our list that we didn’t need to do but this ist you’ve reated is perfect for people looking to head out for long term. Adapters are often overlooked but very important! Nothing more annoying than getting to your destination with a dead phone/laptop and not being able to charge it 🙂 Good luck with your travels! These are great tips for leaving any country! Of course each place has their own details and rules maybe. The international driverÂ´s license is a must, especially if you want to drive in the place you are going to. Great tips… I can honestly say I didn’t know about half of these recommendations – didn’t know you could register and let the gov’t know! Thanks.